Harlo, it's me again. 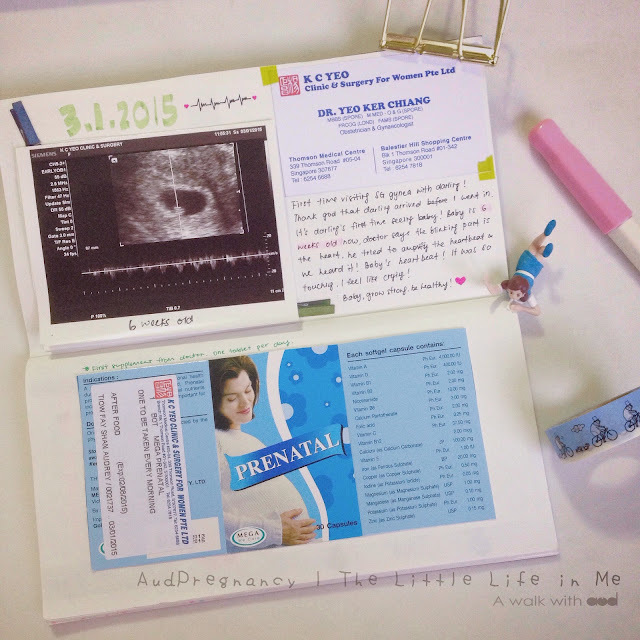 I am back with my pregnancy update. I am 24 weeks pregnant now so sorry to say this is a way overdue post. Lol. Things certainly changed after I found out that I am pregnant, may it be physical or mentally. Well, let's see what had happened in my first trimester. For the first 4 weeks, I didn't even know I was pregnant until I realized my period was late. Haha! Read about the finding out >>here<<. Me and kareshi took quite some time to digest this great news and to slowly pace ourselves. 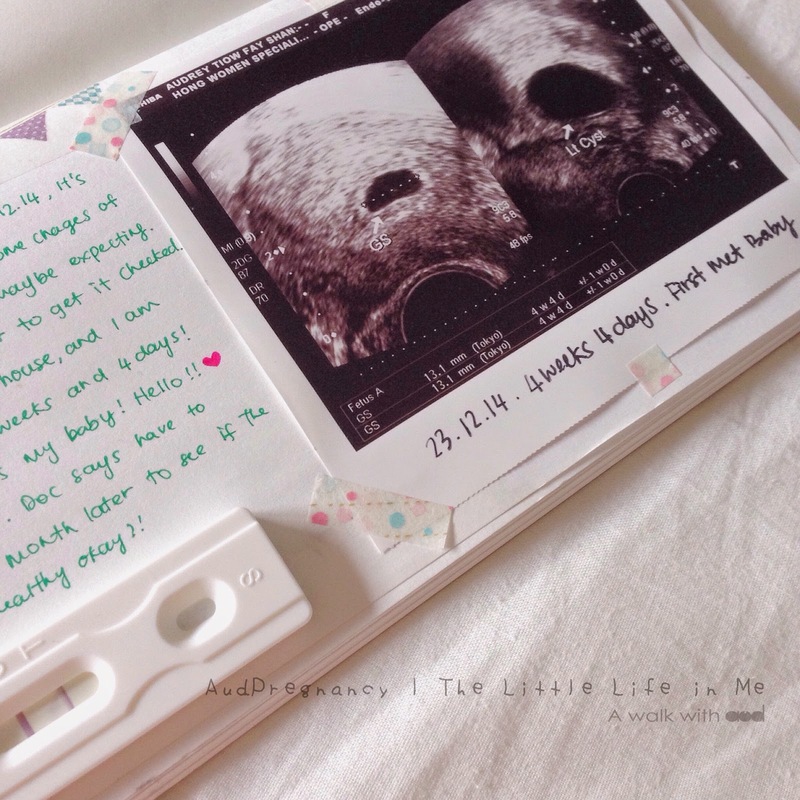 The moment I knew I am pregnant, I had already decided on having a baby journal. 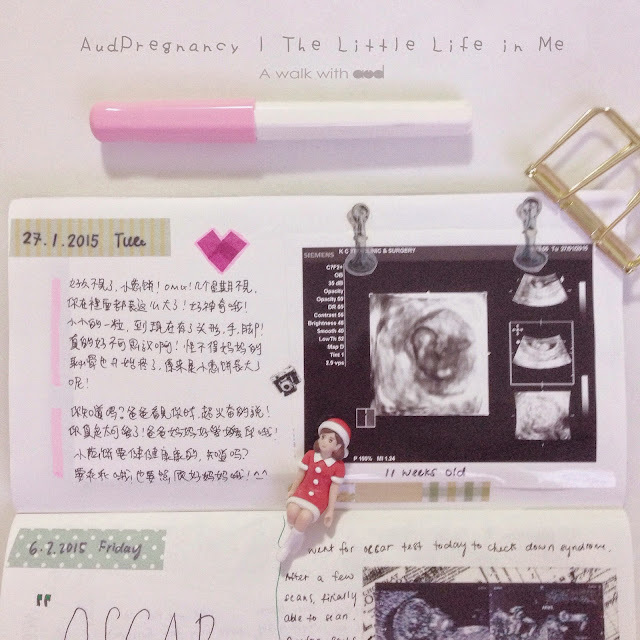 It will be like a "book" of letters I write to my baby, documenting what had happened throughout the whole pregnancy. I believe it will be a great way to keep all these unique memories. In the future when baby grows older, I can show baby how he or she grew. Wonder if he or she will be interested to know. Hehe. On the 6 weeks, I had my first gynae check in Singapore with Kareshi. Many friends and relatives were asking why don't do it in Malaysia as it will be way cheaper. It is because baby will be delivered in Singapore so it is better to have all the checks in Singapore despites it will be much more expensive. Daddy gonna work harder lo. Oh, it was also Kareshi's first time seeing the baby! 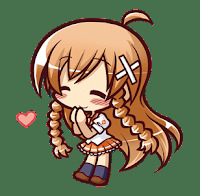 During the scan, when doctor told us that the blinking part is the baby's heart, our reaction was still quite calm, but the moment we heard the heartbeat, I swear my heart melted. *I wonder if they played the same heartbeat audio track to all parents, lol. Kareshi was so touched too!! The question I heard the most after pregnant will be "Do you have morning sickness? Well, I have to thank my baby for being so understanding and nice to me, I do not have any morning sickness. I feel normal, just like before. No changes in diet, no drastic weight gain. Maybe a little soreness here and there when time goes by, but that's it. I don't feel pregnant at all, lol. Thank you baby for being so nice to me. Love you so much! Kareshi and I often talk about how amazing life can be. In just a few weeks time, the tiny round shape thing had started to shape like a human. The hands, legs and even the head had started to form! You can never imagine how touching it is until you are a parent yourself. On the week 12, we had an Oscar test. 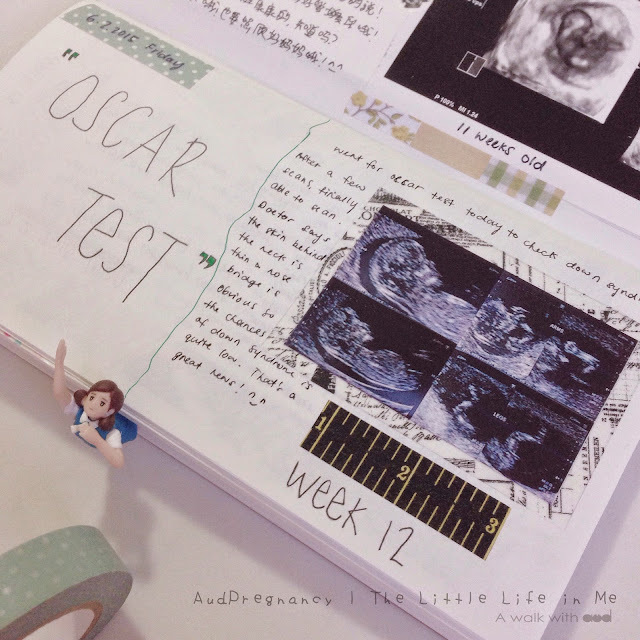 Oscar test is to check if the Little One has the possibility of down syndrome. The test consists of scanning and blood test. There's actually another option with higher accuracy which is what they called the "Harmony Test" if I am not mistaken. But that test is way much more expensive than Oscar. Considering my age is low risk category, Doctor suggested Oscar will be sufficient for me. So Oscar it is. It turns out the the scans were good, and so was the blood test. Doctor says it seems like baby's nose bridge is quite high. REally?? That pretty much sums up my first 12 weeks! Coming soon will be my 13 - 24 weeks! Can't believe how time flies, I am already at my last trimester when I am typing this. It feels like I just got pregnant yesterday. Everything happened so fast! From the finding out, to the tiny black dot, to a human-like foetus with hands, legs and head, everything seems so unbelievable. Life is truly amazing. Omg, congrats with pregnancy! I hope all will be good with you and baby! I think you're brave enough because pregnancy is my scariest phobia ever and I sure I'll do an abortion if I realize that I'm pregnant one day... :c But I'm so happy about you!